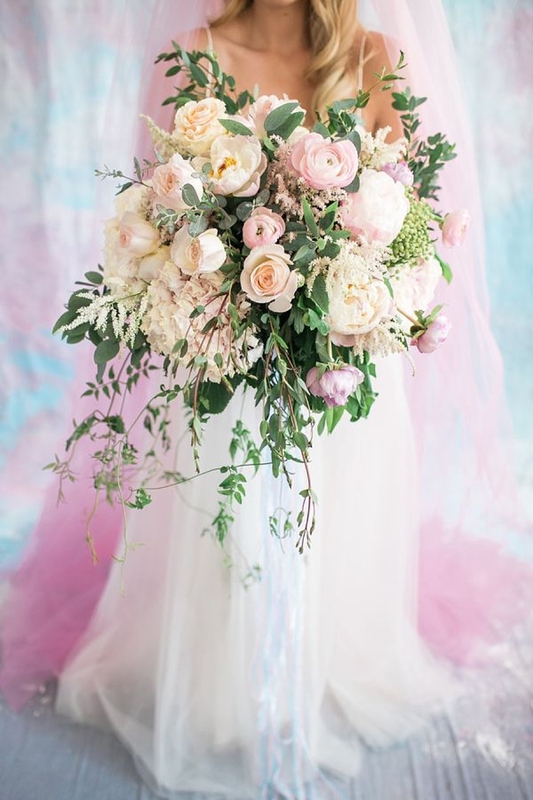 What do you get when you marry two popular wedding trends such as celestial dreaminess and iridescent radiance? Well, this inspiration board, of course, and we think it's the perfect marriage! From shimmery hues of iridescence to celestial aesthetic, we have envisioned the lighter side of celestial wedding ideas. There's no moody navy blue here! Instead, pearly iridescent pairs beautifully with the twinkling heavens as it dresses itself in a new pastel ensemble. Pinks, blues, and purples set the color palette while details like geometric rock candy and glimmering wedding day makeup help elevate this renewed theme out of this world. Did you know that NASA is here locally in Hampton? (Even better, did you know the history behind the amazing film Hidden Figures happened there as well?) Between NASA and the Virginia Air and Space Museum, we have some pretty fab roots when it comes to space exploration and education... which means it also makes for the perfect inspiration for a celestially inspired wedding! Looking for other pastel celestial goodies?